Camping in Uttarakhand takes you up into the upper Himalayas, and can be a spectacular experience. Almost every multi day trek in the Himalayas gives you a chance to camp in high altitude meadows, beside waterfalls or trickling streams, along the banks of clear lakes, or in the midst of fragrant pine forests. Thanks to the wide diversity of flora and fauna, camping in Uttarakhand is a favourite activity for bird-watchers and nature lovers everywhere. However, camping in Uttarakhand is not just for avid trekkers and experienced adventurers. 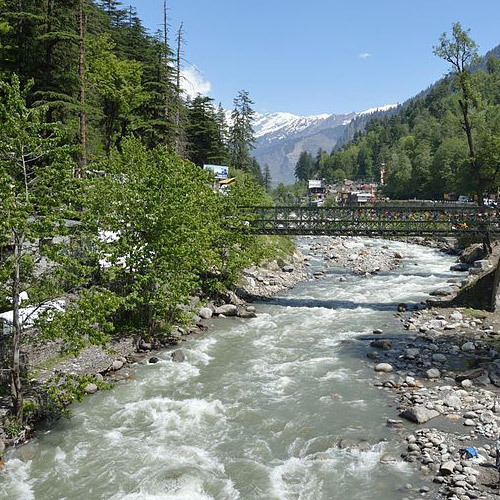 As a novice, you should try camping in Rishikesh to get a taste of what it feels like. 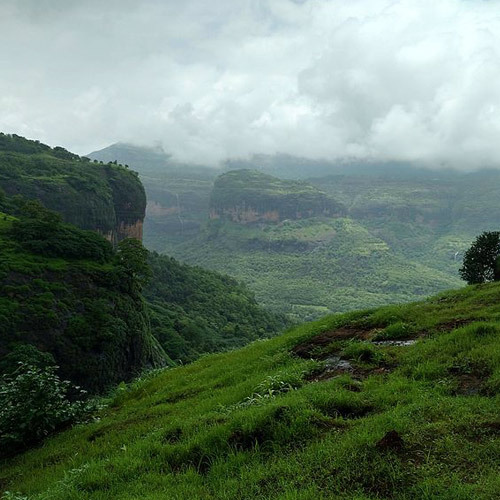 You’ll be camping close to the Ganges or its tributaries, and most campsites are close to nature treks and waterfalls. Apart from enjoying the cool night air and pleasant days, your Rishikesh camping trip can be filled with adventure and fun. You can go white water rafting in the rapids, try bungee jumping or Asia’s longest flying fox ride, or go mountain biking. Most campsites in Rishikesh are designed to host families and large groups, so you’ll find that there are plenty of adventure activity options. If you’ve chosen a Rishikesh camping location near peaceful stretches of the river, you can go paddling or kayaking. There are usually rope activities like ladder climbing or Burma Bridge, obstacle courses, or rappelling and rock climbing. You’ll also be able to find a spot to do yoga or meditate near the river or in the gardens. The highlight of camping in Rishikesh is without a doubt the river rafting trip. 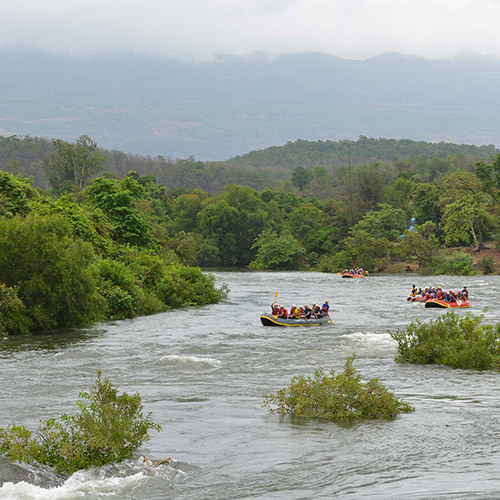 This is one of the most popular stretches in India for rapids, and adventure-seekers from around the world come here to try their luck. Ranging from Grade II to Grade III+, there are trips for every level of experience. After you’ve navigated the tumbling rapids, you’ll be directed into a calmer section of the river. Here you can enjoy a session of cliff-jumping, or take a peaceful swim in the cool water. 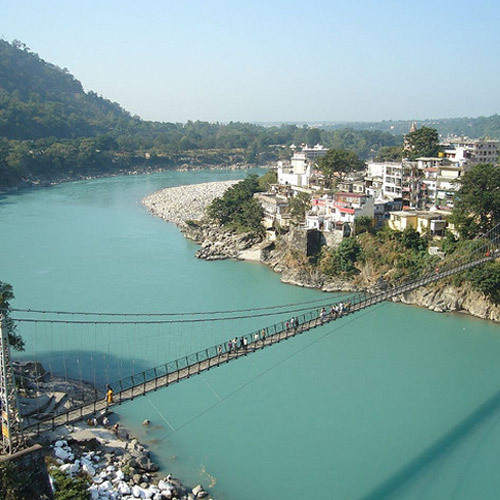 Most Rishikesh camping is located in and around the city centre. There are many options of accommodation, from Swiss tents to bamboo huts to cottages. Some campsites even have air-cooled tents and rooms, for warmer afternoons. 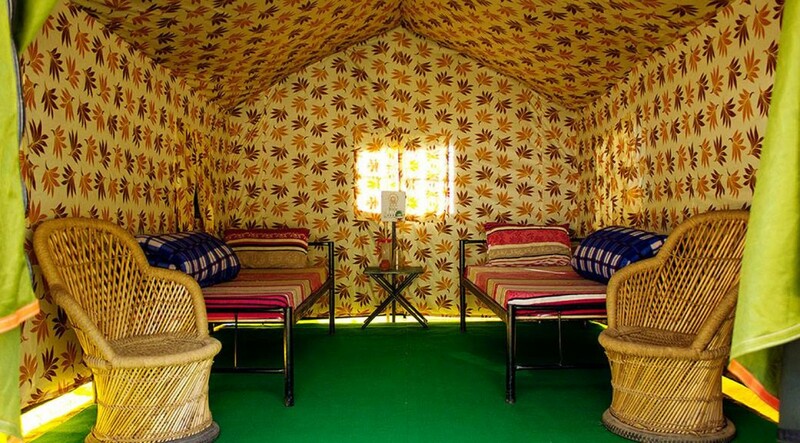 Most Rishikesh camping sites have gardens with hammocks, seating areas, on-site activities like volleyball, cricket, etc. If you’re camping in Rishikesh and planning to go rafting, you should go in the summer months, or after the monsoon. During the winter months, the river can get very cold, but the rafting is still operational. Some operators will provide you with a wetsuit during winter rafting to keep you warm. 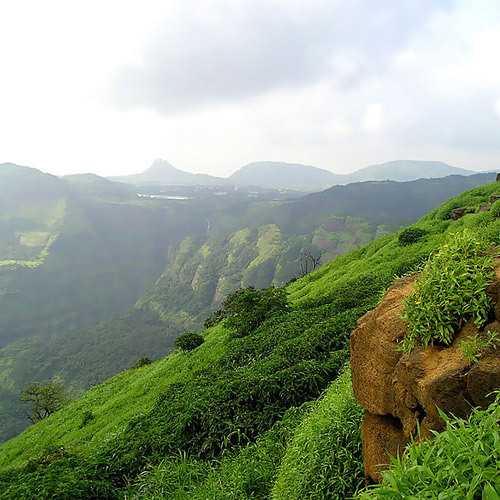 Make your escape from smoggy cities and sweltering heat, into the fresh cold air of the mountains. This campsite is located close to Mussoorie, on the hills of Kanatal, with gorgeous views in all directions. Early mornings here are misty and filled with the fragrance of pine trees, and you can go exploring green forests in all directions. But this wouldn't be an adventure trip without some wild adventure, so here are some more options. This package includes rock climbing, valley crossing, rappelling, and rope activities like parallel rope and Burma Bridge.